Really, by the time you reach your big day, there should be very little for you to do. All the planning, preparation and communication is done so the wedding day itself is just about working the plan and making it all real for you. Perfectly! With our wedding day photography services, you can rest assured that we will have spent time pouring over our notes and mooching around the venue to see if we can find some new and funky angles. We will have it all planned and under control! Don’t forget, you’ll also have your list of ‘Wedding Day Timings’ and ‘Specific Portrait Requirements’ that we’ll have sent you after your pre-shoot. 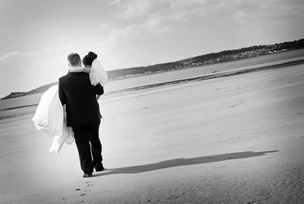 These are intended to make the wedding day photography run more smoothly for everyone involved. The idea is for you to pass them around to all the key members of the party (especially the best man and ushers) so everyone will know what’s going to happen and when. If you get the chance before your big day, you could also mention to the best man, ushers and bridesmaids that they may need to be prepared to be called upon to collect the relevant people when it comes to the portraits. After all, they know who’s who more than we do, so if they don’t mind, we’d like to enlist their help! So that’s it. The day is unfolding exactly as it does in your dreams – and all you need to do is simply grab another glass of champagne, relax and, most importantly, enjoy it all! For more information regarding our wedding day photography, simply contact us and we will be more than happy to assist you.